Anyhow ~ here’s the recipe in a more formal version. 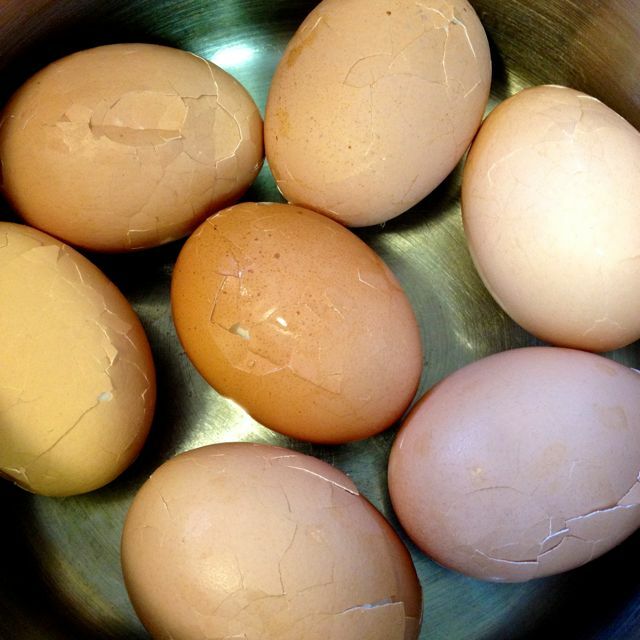 Cover the eggs with tepid water. Reduce heat to a simmer, cover, and cook for 10 minutes. 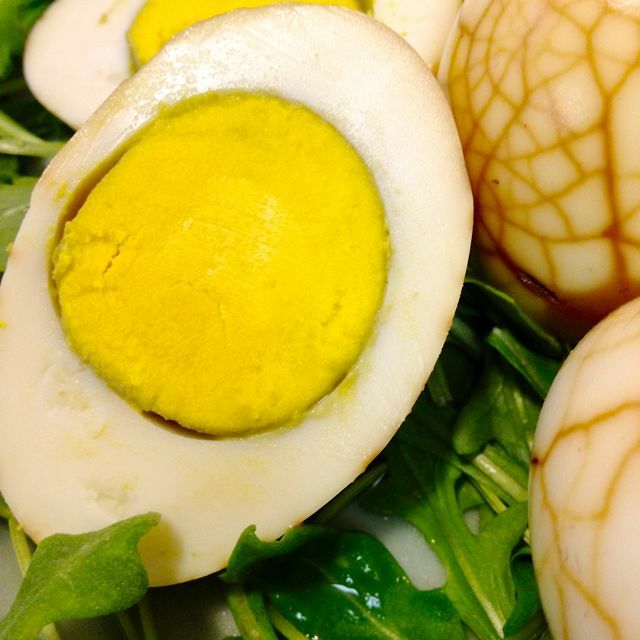 Let the eggs cool in the water. Drain and replace the water with more cold water after about 10 minutes. 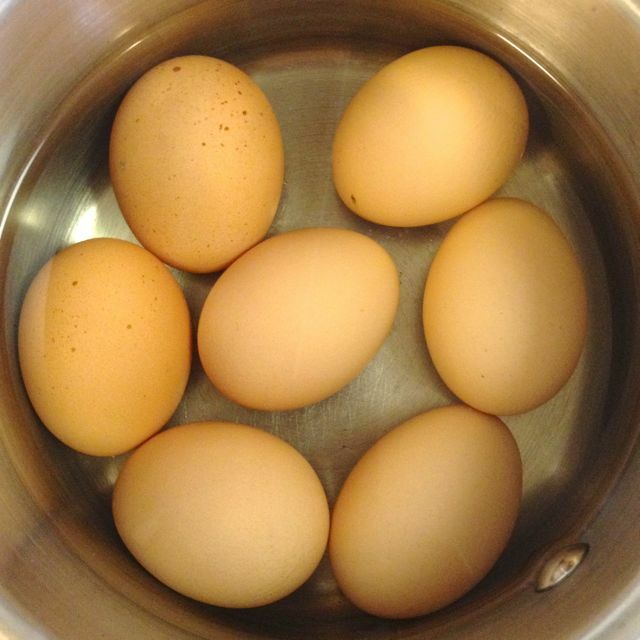 When the eggs have cooled for about 30 minutes, and are cool enough to handle, drain from the water. 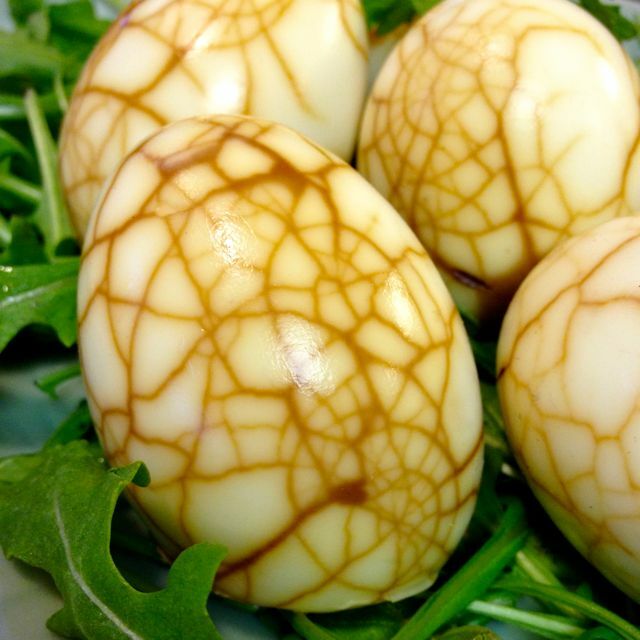 Gently crack the eggs all over, without smashing them. 5 – 6 gentle cracks for each will be lots. Put back into the pot. Cover with tepid water until the eggs are just covered. 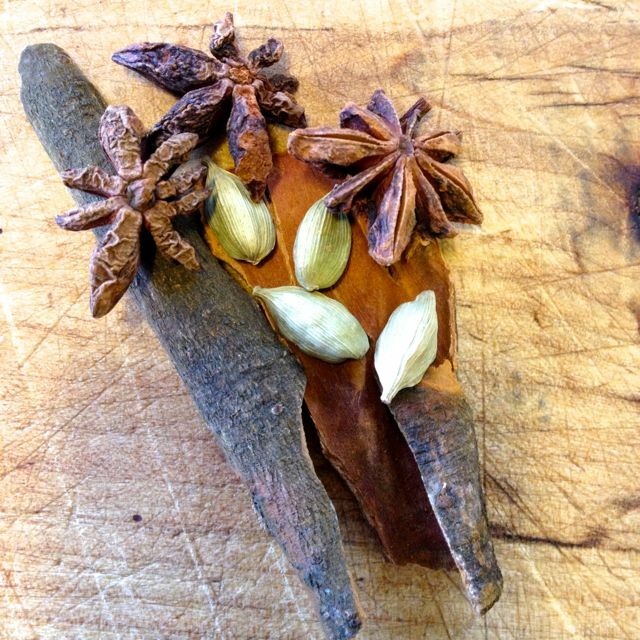 Add in the star anise, cinnamon, cardamom, black tea, ginger slices, and salt. 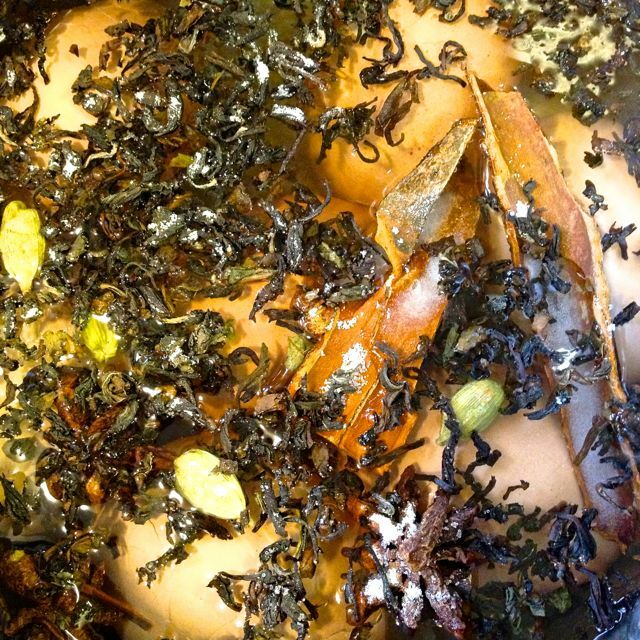 Return to a gentle boil. Cover, reduce heat to very low, and simmer for one hour. 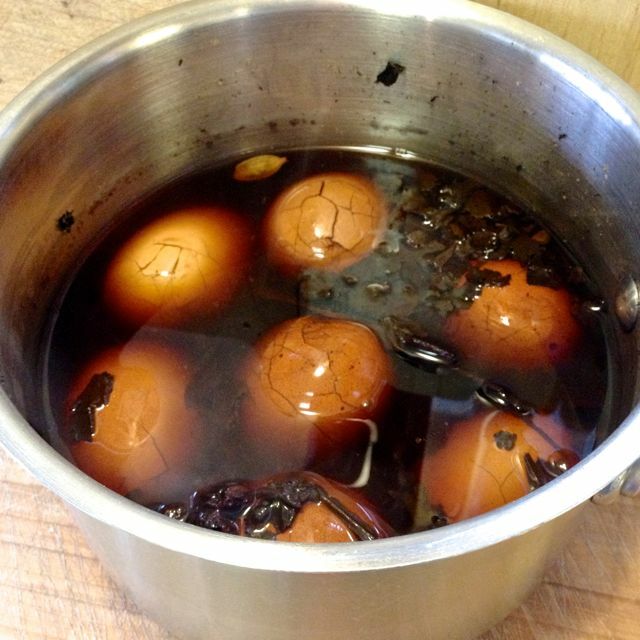 Remove the pot from the heat, and let the eggs sit in the tea, uncovered until cool. 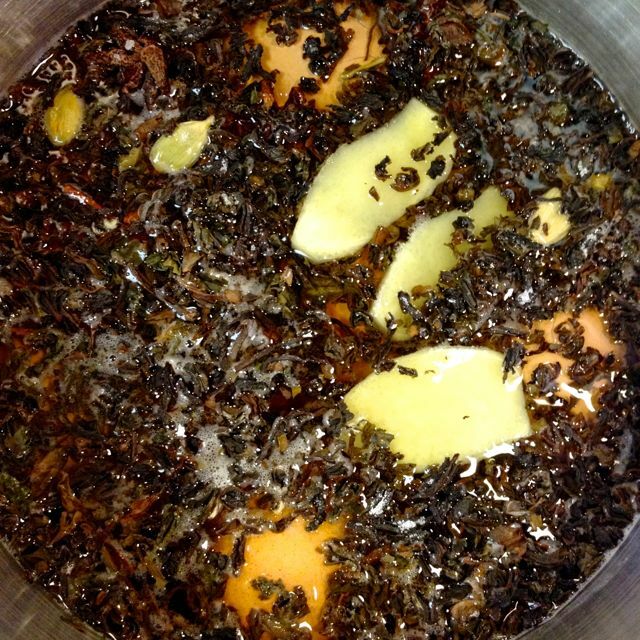 Remove the eggs from the tea & spices. 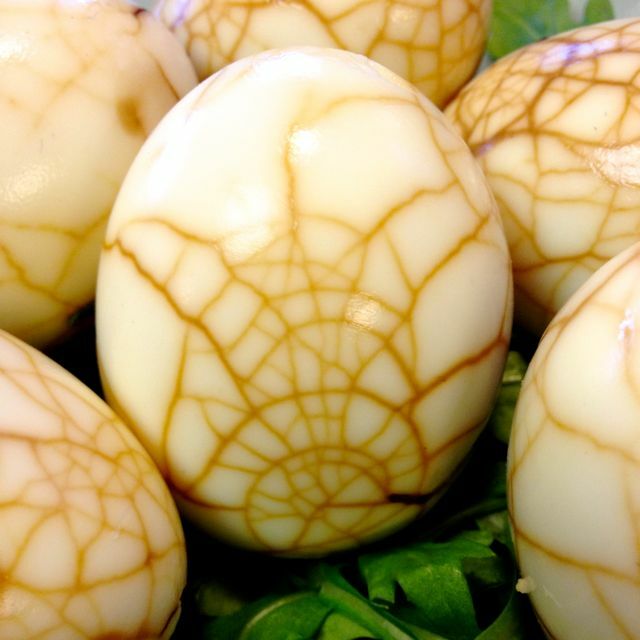 Peel the eggs to uncover your little works of organic art. Serve quartered or halved on a bed of greens; or whole, in a little tub in a lunch kit. Store covered in the fridge for up to five days.